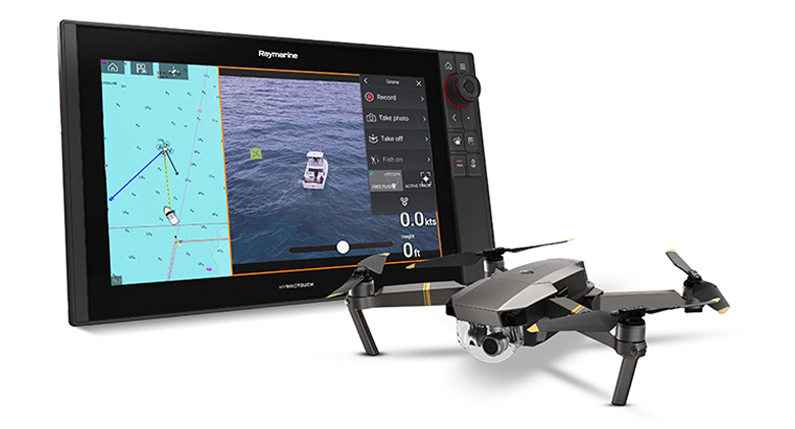 Raymarine have just announced a marine electronics first at the Miami International Boat Show in the United States this year, with the introduction of the UAV integration with Axiom/Axiom Pro MFDs! This leading-edge technology now brings a hands-free, aerial view to the water, ushering in a new era of UAV control and video possibilities for anglers and boaters doing a lot of on-water filming. Not only does it make capturing video footage of fish catches easier, it also increases Axiom’s inherent fish-finding power to include aerial scouting capabilities while you’re out on the water. Currently compatible with DJI Spark and Mavic UAV drones, features include single button launch/track/record functions, GPS link for various ‘follow’ modes, and real-time video streaming on the Axiom MFD, to make filming with a drone even easier! Axiom UAV integration will be available in the spring of 2018.